I had a request for a video for knitted crown on STRAIGHT KNITTING NEEDLES. When you knit on circular needles you work entire time on the RIGHT SIDE, because you knit around in the circle. 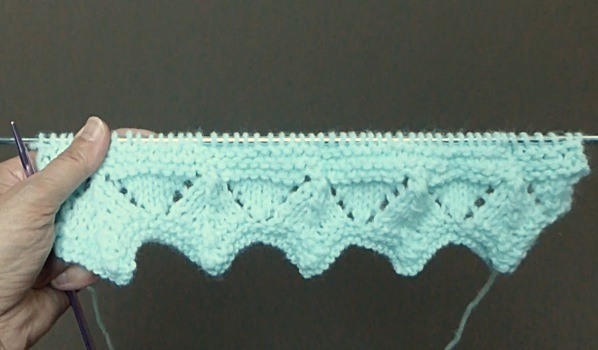 When you knit on straight needles you work one row on RIGHT side, and one row on WRONG side. Therefore, when you work with straight needles, knitting on your wrong side must be handled differently. Yet, it has to match as much as possible the right side. So I sat down and tried to figure it out and below is my closest outcome. If you want to knit this crown, you need to know how to cast on and bind off. 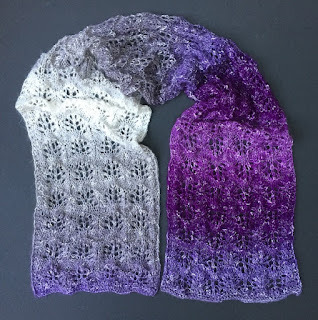 You need to know how to do knit & purl stitches, and you need to know how to do yarn over and how to slip stitches and pass them over. If you would rather knit it on circular needles visit my other post HERE, or you can watch my video HERE. Work on multiples of 18 sts + 2 sts (one stitch on each end). Foundation Row - CO your stitches - I casted on 92 sts = 5 repeats total. Note: for Rows 12 through 18 you can remove all markers. Sew or crochet the sides together and weave in your ends.